While there may be many bands out there fusing Indian instruments with Western classical and jazz tunes, Trio Benaras comes with a heritage like no other. 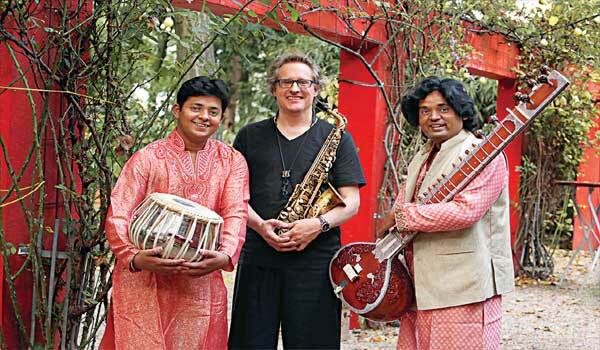 Established German jazz saxophonist Roger Hanschel visited Varanasi in 2013 to meet sitarist Deobrat Mishra and tabla player Prashant Mishra. The three struck a chord and there was no looking back. This week, they perform live at Windmills Craftworks as part of their Jazz Theatre Exclusive evenings. ai?? ?The coming together of the sounds of all three instruments seemed perfect to us,ai??? Roger divulges, adding, ai?? ?After meeting in Varanasi, we played together at concerts there and in Cologne, and then decided to form Trio Benares.ai??? Both Prashant and Deobrat come from a family of esteemed classical musicians in Northern India. Their music is completely acoustic. Their songs take folk and heritage music from India and fuse Rogerai??i? ?s sound with it. ai?? ?Our song, Kajari, is a traditional song from Benares. But it was never done before with the saxophone,ai??? Roger adds. Jog is based on an Indian raga but with jazz techniques and emotions. But itai??i? ?s not all Indian in theme. Their song Charlieai??i? ?s Reverberations, for example, is dedicated to the well-known saxophone player Charlie Mariano, who died in 2009. ai?? ?Our idea is to inspire new music, which is a universal language,ai??? Roger sums up.